31.1.0 is now released to an adoring public, a little ahead of Firefox which apparently releases on Wednesday but I don't see any reason why we should be delayed. I also made a major breakthrough over the weekend and irregexp, the regular expression engine Firefox switched to in Fx32, is now generating working JIT code on PowerPC. This involved fixing a couple of undiscovered bugs in our JIT and adding support for the PowerPC byte-swapping load instructions (lhbrx and lwbrx) so that irregexp's inherent little-endian orientation could be worked around on our side. It now passes V8, and I think I can get it passing all the tests in a couple more days. This was a must-complete milestone because without it not only will we be unable to implement our new MIPS-based JIT, but we almost certainly won't make the next ESR. This makes our chances much better. That's the good news. The bad news is that, at least on V8, it seems to be anywhere from 30 to 50 percent slower on compiled expressions than YARR, which we use in 31 stable. It's always hard to assess final performance on a debug build, but I want to make sure that our use of the byte-swapping instructions is not to blame. It may end up being faster to emit code to do a regular big-endian load and then rotate things around with rlwinm and rlwimi, even though that's two or three more instructions in the I-cache; I'm going to do some more testing with that once I have the test suite passing completely. It doesn't look like it's an emulated instruction on G5, thank goodness. 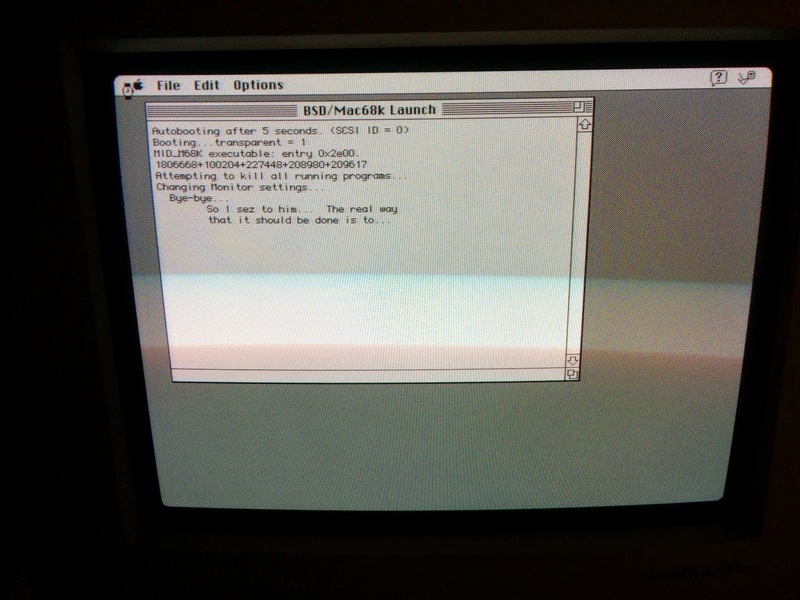 Those of you on ThinkClassic will have already seen this story, and if you're not on TC you should be, but this weekend thule, my long-running Macintosh IIci NetBSD/mac68k server, finally blew its logic board after fifteen years. Most likely it needs a recap, but the good news is, I already had a spare board with fresh caps in reserve for just such a day and thule is running again. 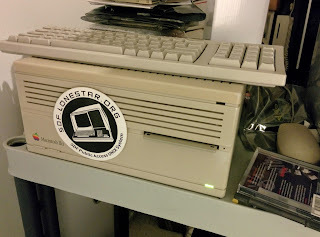 When it was the only server in my apartment, it acted as a cross-development machine for my Commodore 64 programs (the 7300 mounted it over AFP and I ran a cross-assembler on it that emitted binaries the 7300's C64 emulator could pick up and run in the debugger), a small file server and a backup repository. 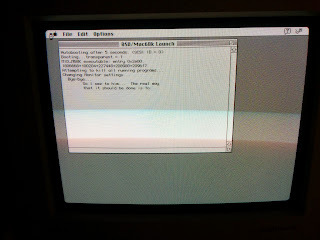 Today, a decade and a half later, it still handles internal DNS resolution and AppleTalk services for the classic pre-OS X machines, and even though a 25MHz '030 is glacial by current standards -- especially since I pulled the L1 cache card to improve its uptime -- it has rendered reliable and sterling service since 1999. I see no reason it won't continue to do so on its new logic board. Here's to another fifteen years of putting a classic to work every day. Tenfourbird 31.1 is now available. OMG! I see an sdf.lonestar.org sticker. I still have the AT&T 3b2 from ... 20 years ago? Longer? Its actually ready to be thrown out.